Hi, I’m Dan, owner & operator of Orbital Electrical here in Brunswick. I’m not a big franchise, just a one man band ready to help you on your next project. A lot of companies now send in their apprentice or have another sub contractor do the job for them. With Orbital, you have the peace of mind in knowing it’s me that comes and looks at your job, and it’s me that does the electrical work. I offer pricing and package options on every job, so that my customers may choose an option that best fits both their service and budget needs, as well as a 100% satisfaction guarantee. Contact Dan today to schedule an appointment and experience the satisfaction and peace of mind that comes with using the best in the area! 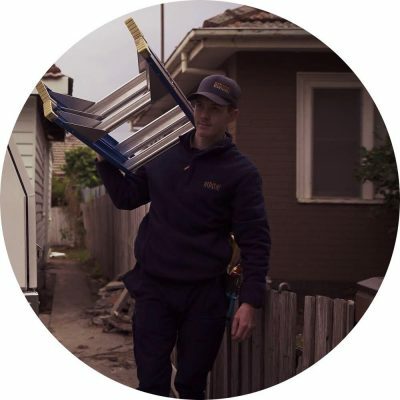 Orbital Electricians Service Areas includes, Northcote, Ivanhoe, Thornbury, Clifton Hill, Collingwood, Carlton, Fitzroy, Brunswick, Preston, Coburg, Heidelberg, Fairfield, Abbotsford, CBD, North Melbourne & surrounding areas. 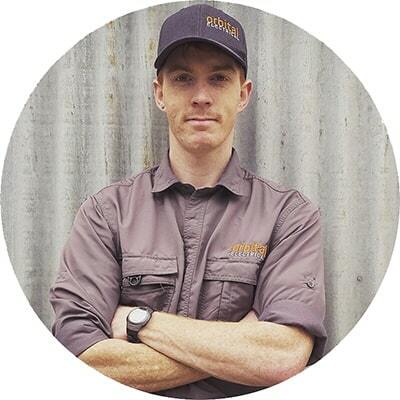 With over 10 years experience and real focus on customer satisfaction, you can rely on Dan for your next electrical project. We provide a professional & down to earth service for home owners and commercial customers. Here are a few of the many projects we have completed for our clients. Here at Orbital Electrical, we provide a professional service which includes consultation, quotes, & supply of materials and installation with a smile. In everything we do, we believe safety is a top priority. This is especially true when it comes to your home and family. We don’t believe in shortcuts. We do this by working out individual solutions based on your needs and requirements, using only the best high quality materials and double checking everything we do. For your protection, we are fully licensed and insured. Orbital Electrical is licensed with ESV ( Energy Safety Victoria ) REC Number 25699, and all of our electricians are licensed A Grade qualified. We do carry Public Liability Insurance ($10,000,000) for your peace of mind. We’ll treat your home like it’s our own. Our electricians are clean and tidy and will make sure your home is left even better than we found it. Dan is a regular presenter on community radio station PBS FM, and enjoys supporting the community through various volunteer work in Melbourne. For added confidence, all our electricians have an up to date Victorian Police Check & Working With Children Checks. Will definitely call Dan again if ever I need an electrician. Honest advice and competitively priced. Customer service was 5 star! Dan was amazing - I have no trouble recommending him. We've had him complete a number of jobs for us now. Turned up on time, professional, helpful and super easy to deal with. Dan was a great find! - efficient, on time, and even vacuumed up the mess at the end. Very impressed. Will recommend him, and get him back for the next job. Very professional service. Dan was excellent with a high quality of workmanship. He's the go-to sparky!! Dan was punctual, pleasant and got the job done quickly and efficiently. Would not hesitate to recommend to friends and family. Thanks Dan!! Very impressed service -- always reliable, trustworthy and friendly. Clearly knows his stuff. Dan was very good at communicating the details and costs of the job. He was polite and punctual and very reasonably priced. Would definitely recommend. Dan arrived when he said he would, had the necessary replacement supplies available, and completed the work promptly. He gave clear and helpful answers to my questions and was polite and friendly. It was a pleasure doing business with Orbital Electrical. Dan was on time and affordable and a nice bloke. I would recommend. Dan is thorough in his work, he listened to what we wanted, gave us sound quality advice, and we ended up with a perfect finish. Thanks Dan - look forward to our next electrical home improvement. Highly recommended. Dan helped to install my new oven and rangehood and did a great job. He was punctual and was very meticulous with the job. Any electrical work we need done in future we will use Orbital Electricians. Dan was efficient, friendly and was able to come to us the day we called. We contacted a number of services and the quote we recieved from Orbital was great value. Dan was excellent. He handled himself very professionally, he was very efficient and affordable. We highly recommend! Dan is a great electrician. Neat, on time and communicates well. Dan was fantastic - very knowledgeable and friendly. He patiently explained what was causing our issues in lay terms. I also appreciated his honesty and professionalism. Will definitely use again. Lovely sparky, great job, punctual, excellent communication and very reasonable cost. Thanks Dan! You're our go to electrician! Dan did a thorough & careful job. He was bang on time & precise in what he committed to .. & completed. Excellent service! We wanted a pendant light installed in the week before Christmas. Dan was the only electrician who would come and give a quote, which was reasonable and he did a great job. Would thoroughly recommend if you want a local sparkie who is reliable, reasonably priced and friendly. Dan was punctual, friendly, and knowledgeable. I thought he’d need to replace an entire unit, but he only replaced the sub-unit (he did not take the opportunity to exploit my ignorance :D). He did it quickly and at an affordable rate. I will definitely use Dan's service again if I need any electrical work done. We had a great experience with Dan. Excellent communication, good price and good advice - he's a great bloke too. Highly recommended. The big boys were too busy so I looked for someone local. Dan's business popped up and I'm glad I took the plunge. Not bothering with 'call out fees' makes a big difference for small jobs. After all, you're hardly going to play with wires yourself (unless you're a nut job), so why should you pay for someone to appear at your front door?